Sample Output From Simulator Used for Comparison of Predicted and Observed Data. Plus signs represent observed data; solid lines represent predicted data for two distinct attitude solutions. 1. Fallon, L., D. M. Gottlieb, C. M. Gray, and S. G. Hotovy, Generalized Star Camera Attitude Determination System Specifications, Comp. Sc. Corp., CSC/TM-75/6129, June 1975. 2. Fallon, L., and C. R. Sturch, Performance of Ground Attitude Determination Procedures for HEAO-1, Flight Mechanics/Estimation Theory Symposium, GSFC, October 18-19, 1977. 4. Gray, C. M., et al, Attitude Dynamics Data Simulator (ADS1M), Version 3.1, Comp. Sc. Corp., 3000-06000-02TR. Sept. 1973. 6. NASA, A User's Guide to the Flexible Spacecraft Dynamics Program II, GSFC, 1978. 7. Nelson, R. W., et al., CtS Attitude Determination System User's Guide, GSFC Internal Document, Dec. 1975. 8. Paulson, D. C„ D. B. Jackson, and C. D. Brown. "SPARS Algorithms and Simulation Results." Proceedings of the Symposium on Spacecraft Attitude Determination, Sept. 30, Oct. 1-2, 1969, El Segundo. CA: Air Force Report No. S AM SO-TR-69-417, Vol. 1: Aerospace Corp. Report No. TR-0066(5306> 12, Vol. 1, 1969. 9. Plett. M. E„ et at., Multisatellite Attitude Determination/Optical Aspect Bias Determination (MSAD/ OA BIAS) System Description and Operating Guide, Vol. 3, Comp. Sc. Corp., CSC/TR-75/6001, April 1975. 10. Rigterink, P. V., E. A. Brinker, R. C. Galletta. and J. S. Legg, Small Astronomy Satellite-B (SAS-B) Star Subsystem (Version 7.0) System Description. Comp. Sc. Corp., 9l01-07100-05TR,March 1973. 11. Rochkind, A. B„ Synchronous Meteorological Satellite (SMS) Maneuver Control Program (SMSMAN) Task Specification, Comp. Sc. Corp., 3101-00800-02TN, July 1973. (SMSMAN) User's Manual, Comp. Sc. Corp., 3000-02800-03TM, March 1974. 13. 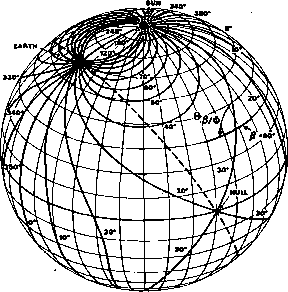 Shear, M. A., System Description and Operating Guide for the Orbit, Sun, and Attitude Geometry Program (OSAG). Comp. Sc. Corp., 5035-22300-04TR, Jan. 1972. 14. Smith, P. M.. Communications Technology Satellite Attitude Data Simulator (CTSS1M) Program Description and Operating Guide. Comp. Sc. Corp., CSC/SD-75/6073, Dec. 1975. 15. Tandon, G. K., Acceptance Test Plan For Communications Technology Satellite Maneuver Control Program (CTSMAN), Comp. Sc. Corp., CSC/TM-75/6154, Aug. 1975.